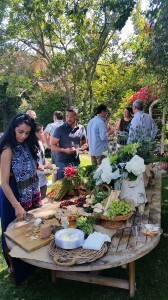 Formaglini Vineyards » 2015 Launch Party – Oct 22! 2015 Launch Party – Oct 22! Join us Sunday, October 22 from 3-6 pm at our home — 2110 North Ross Street, Santa Ana, CA — for a great autumn afternoon of wine, food, and fun! We are releasing our TWO newest wines — the 2015 Formaglini Vineyards La Querica Block Pinot Noir and the 2015 Insieme Cuvee. As always, we’ll pour sparkling wine for a toast, a Formaglini vertical tasting, and even a barrel sample from 2016. Details about the 2015 vintage, this party, and to RSVP – http://bit.ly/2yrUKi0.